Carpal Tunnel Syndrome (CTS) is the most common Repetitive Stress Injury (RSI) or Cumulative Trauma Disorder (CTD) seen by health professionals and is also one of the most preventable conditions. It presents as pain, burning, numbness or tingling in the wrist or hand, which becomes worse after using the hands for activities requiring wrist action. This pain develops as a result of compression of the median nerve that travels through a narrow “tunnel” where the wrist meets the palm. Nine tendons also pass through the carpal tunnel. When certain activities are performed which require sustained or repeated flexion, extension or twisting of the wrist, friction occurs among the tendons in the carpal tunnel which creates inflammation and swelling. This process of inflammation entraps the median nerve that supplies much of the palm, thumb, index, middle and ring fingers. Carpal tunnel syndrome can lead to muscle weakness and a general impairment of hand function. For many individuals, the wrist/hand pain is worse at night. Another factor which contributes to a “narrowing” of the tunnel, besides inflammation, is overly-tight muscles of the forearm which can compress the bones of the wrist closer together, subsequently narrowing the carpal tunnel or increasing pressure on the wrist joint or finger joints. Couple this narrowing with friction among the tendons and you have a painful condition which develops more quickly. It is important to note that myofascial trigger points in the forearm or shoulder girdle can also bring on the same warning signs and mimic carpal tunnel syndrome. Unfortunately, we have seen individuals who had wrist/hand pain, went to their doctors and surgery was immediately recommended. After their surgical recovery they still had pain, only to find that on further examination, the cause of their pain was from a trigger point that was easily treated through massage or physical therapy. CTS responds well to non-invasive soft tissue manipulation. We believe surgery should only be the last resort after less invasive means have not produced results. Aggravating Factors: Repetitive motion of the hands, wrist or forearm certainly aggravates the symptoms of CTS. 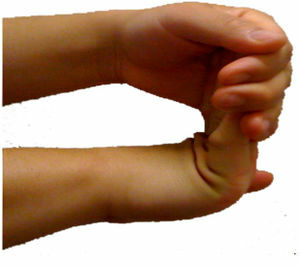 Gripping, grasping or lifting with the thumb and index finger can strain the wrist. Computer work, certain musical instruments, assembly line work (like twisting a screwdriver) and house work, such as scrubbing floors, sinks and tubs, all contribute to strain on the tendons passing through the tunnel. Sleeping positions that place the hand in extreme flexion or extension place considerable stress on the tendons of the carpal tunnel. Previous bone fractures or dislocations in or around the wrist may produce a narrowing of the carpal tunnel, and fluid retention can also create swelling in the carpal tunnel and subsequently entrap the median nerve. Keep the wrist in a neutral or straight position. To assist this at night, a wrist splint is helpful. Avoid repetitive movements or holding an object in the same way for extended periods of time. Reducing the speed with which you do a forceful, repetitive movement gives your wrist time to recover from the effort. Alternate easy and hard tasks, switch hands or rotate work activities. The earlier you have a professional diagnosis and treatment, the more successful the outcome will be. Doing regular flexibility exercises can reverse this progression and eliminate, or at least better manage, symptoms of CTS. Soft tissue manipulation or therapeutic massage by a skilled practitioner can loosen the hypercontracted muscles and allow stretching to be more effective. All the above self-health measures will be enhanced if the originally offending activity is modified or eliminated. Gallery | This entry was posted in Energy Healing, Energy Healing, Energy Medicine, Holistic, Holistic, Holistic Healing, Massage, Massage, Massage Therapist, Massage Therapy, Our Center, Shiatsu, Therapeutic Massage and tagged Carpal tunnel, Carpal tunnel syndrome, Conditions and Diseases, Health, Median nerve, Repetitive strain injury, Tendon, Wrist. Bookmark the permalink.